This is a ripping good tale! 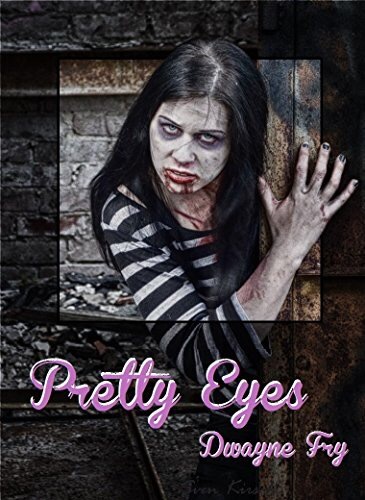 “Pretty Eyes” is well suited as a Halloween read, since the bulk of the story occurs at an old amusement park all decked out for a spooky good time. Many of the rides have been temporarily repurposed into variously themed haunted houses. This creates an awesome environ within which to meet our main character, Karl. Karl is a grade-A jerkwad, but somehow author Dwayne Fry makes us care about the lout! Quite the accomplishment. I even found myself rooting for him as he tried to entice any number of pretty young things. There’s an awesome twist in the final pages you won’t see coming. Those are the best. Treat yourself this Halloween and enjoy this bloody-fantastic short story. Act fast and you can get it free HERE as part of Support for Indie Authors Monster Weekend.